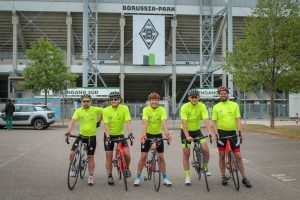 A group of local cyclists completed the Foundation’s inaugural Koblenz to Norwich challenge on Monday to raise funds for disadvantaged and disabled people across Norfolk. 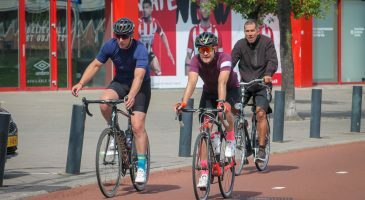 The team of five embarked on an epic 419-mile adventure across Northern Europe taking in a host of famous cities, including Bonn, Cologne, Eindhoven, Amsterdam and The Hague. 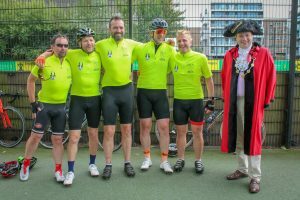 The ambitious four-day challenge began in Norwich’s twin city Koblenz where the cyclists were waved off by members of the Koblenz City and Twinning Society, and finished at Carrow Road where they were met by the Lord Mayor of Norwich (pictured below, right). 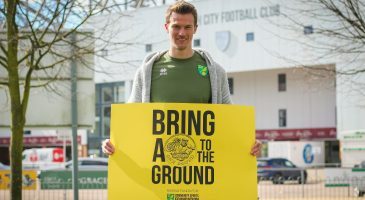 Throughout the challenge, the group visited a number of famous football grounds across Germany, Holland and England including Monchengladbach’s Borussia-Park, Ajax’s Amsterdam Arena and PSV Eindhoven’s Philips Stadion. 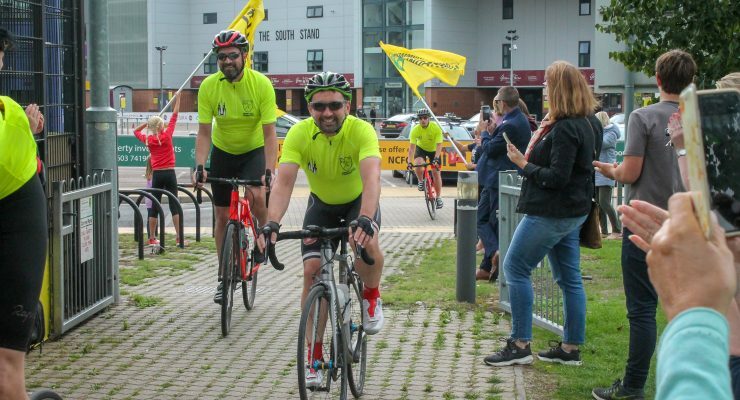 The cyclists overcame physical challenges and some variable weather conditions to raise money for the Foundation. 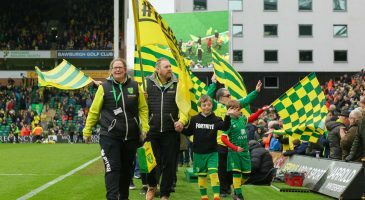 Early indications show the event has already raised £5,000. 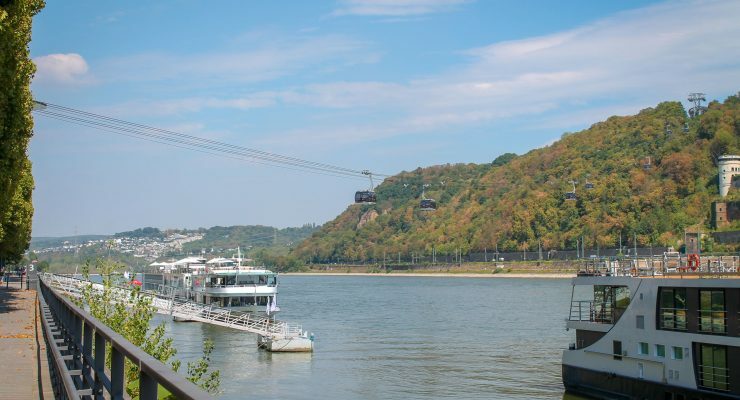 “The group have a real sense of personal achievement and pride and I am delighted that they enjoyed the event. 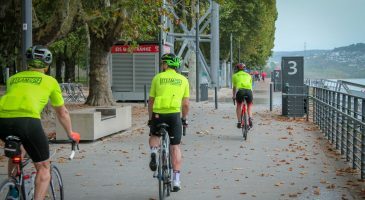 It was quite incredible to see them cycle so far; between them, they racked up a combined distance of more than 2,500 miles. 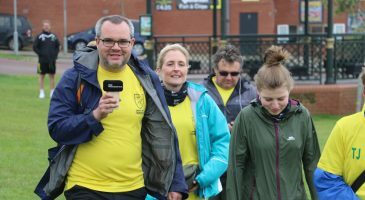 The #KoblenztoNorwich team was made up of Matthew Parkhouse, Alan Gray, Glynn Thomas (Aviva) and David Messiter and Ricky Forder (Verisk Claims). 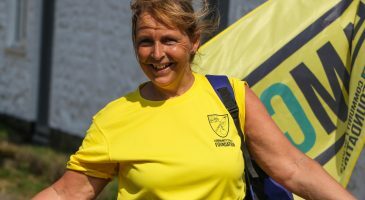 Riders were supported with regular refreshment stops along the way and by key support from CSF volunteers Colin McDermott and Jennine Schneider. 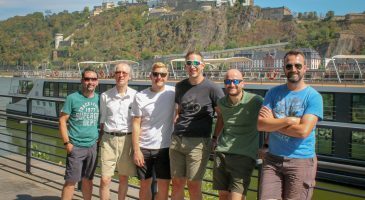 "It was incredible to see the group cycle so far, they have a real sense of personal achievement and pride."